I’m back today for our 2nd installment of Social Thinking Christmas activities! 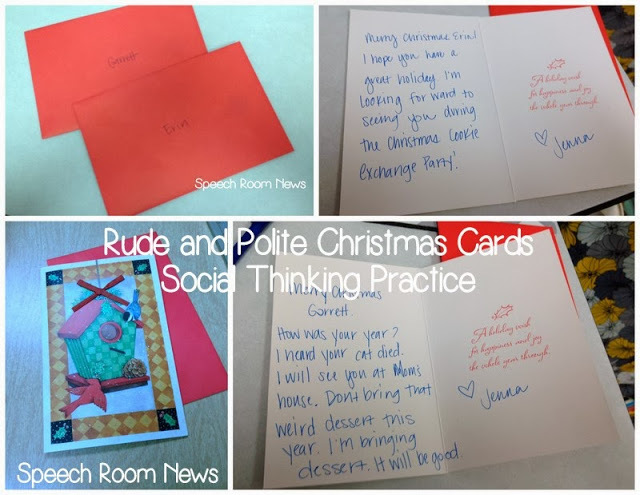 We used Christmas cards to work on rude and polite conversations. 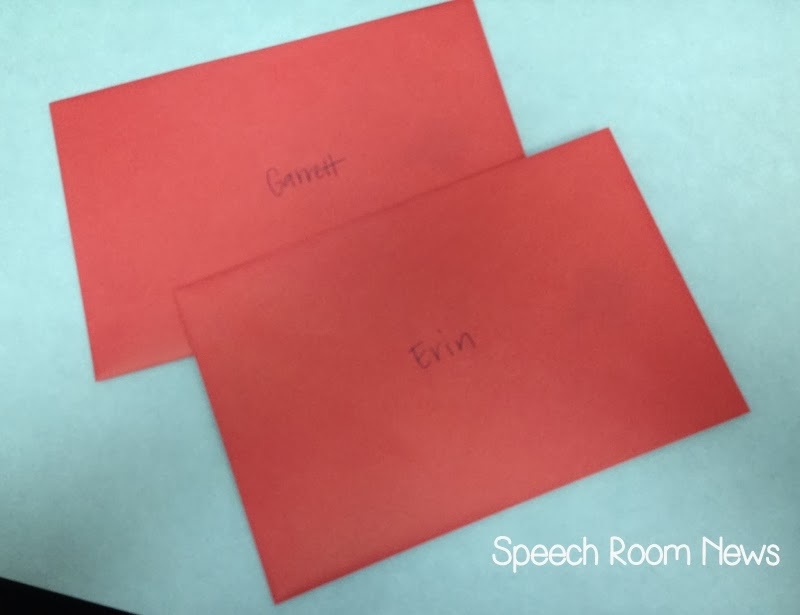 I wrote a sample rude card and a sample polite card. Then we practiced writing our own! It was exciting to work on something they took home to speak to their parents about! Have you used Christmas cards? I love this idea. How awesome. Thanks. Love this idea! I’ve not used Christmas cards in this way before. I will have to remember this – thanks! Love this Jenna. Thanks for sharing.